In June 2013, we had the opportunity to visit Copenhagen, Denmark. One of the highlights was our tour of Rosenborg Slot, a renaissance castle in the center of the city. 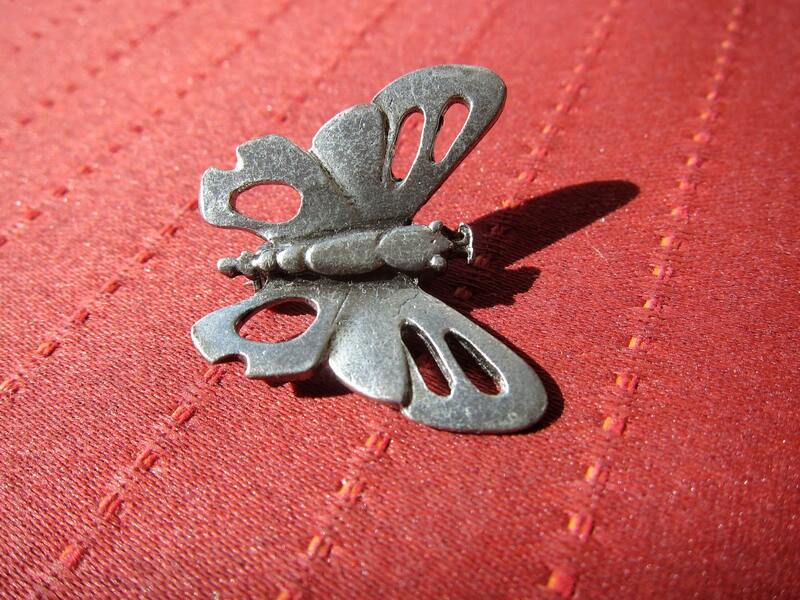 It houses a collection of gorgeous antiquities, including the Danish Crown Jewels. 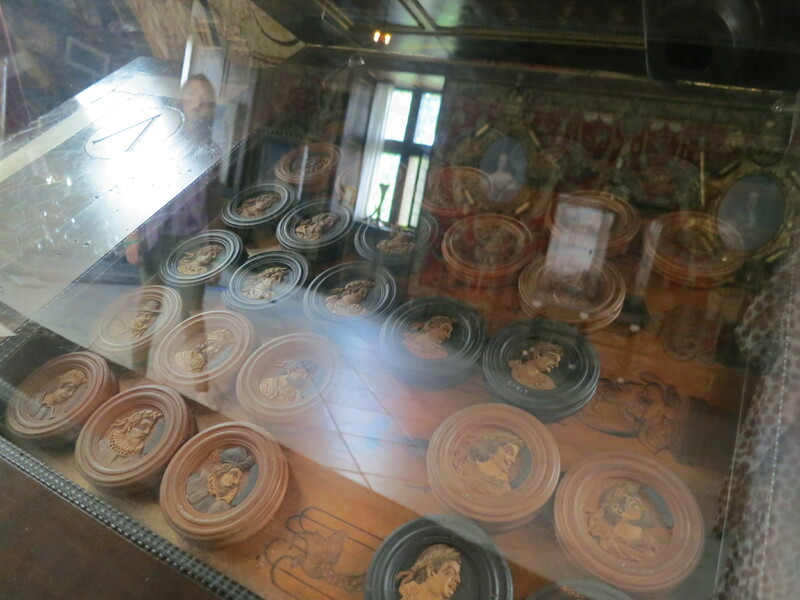 The treasures displayed in the castle are quite extraordinary and are well worth a visit. 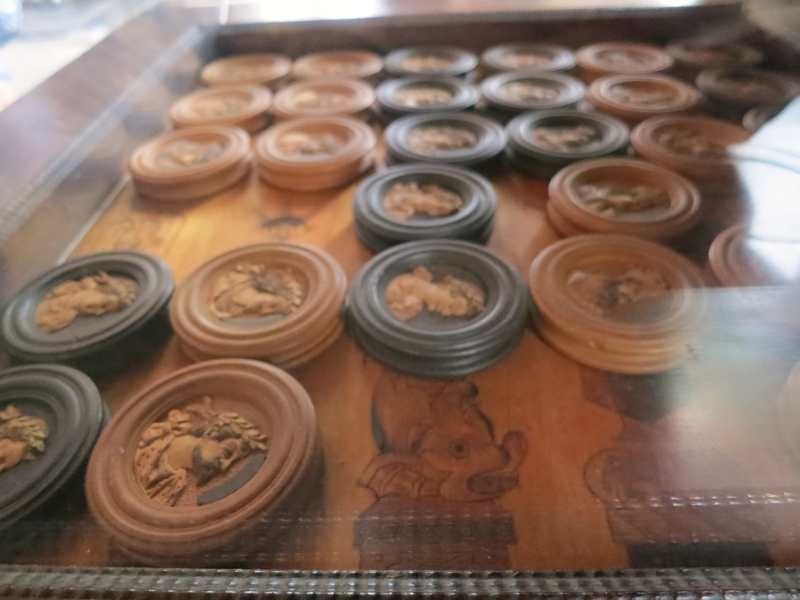 One of the items on the first floors especially caught my eye – some gorgeous turned wooden game pieces under glass. 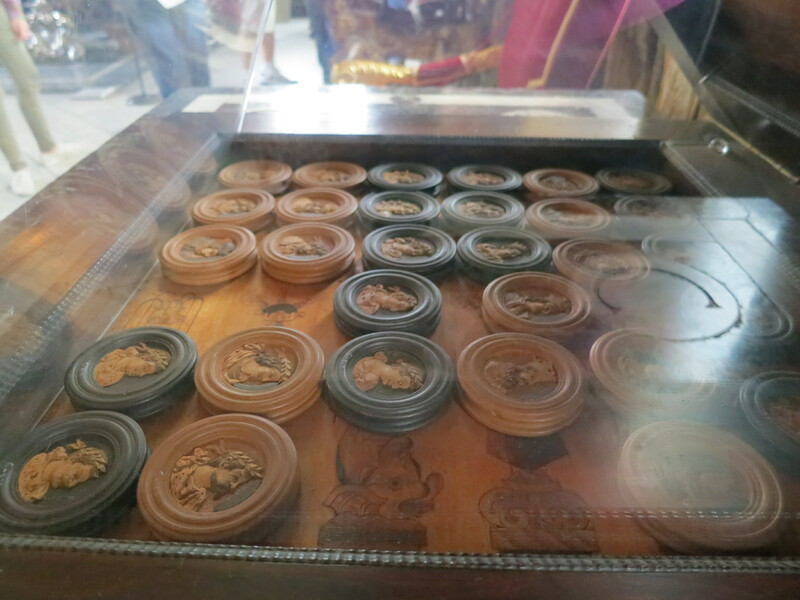 Every one was different, with carved profiles of men on each one. They were large – about 2.5-3 inches in diameter. Fifteen of each blonde and black pieces, for a total of 30 pieces. I had to consider some of the other things on display and the pieces themselves. They seem like chess pieces but are the shape of backgammon. So I looked up a history of backgammon and was surprised to find so little online. 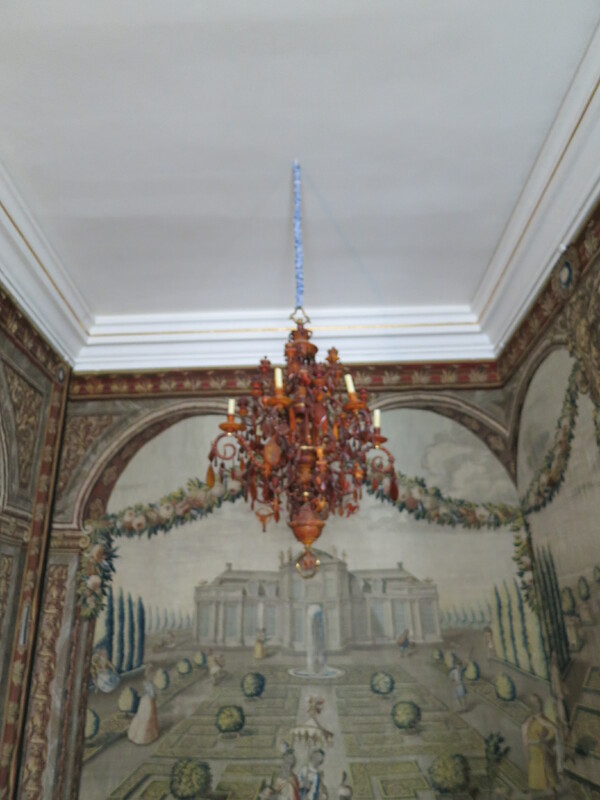 One of the other treasures in the castle is an amber chandelier. The period of the these pieces looks like it’s contemporary to it. I found a reference that the famous ivory turner, Lorenz Spengler who arrived in Copenhagen in 1763 and who created a few of the treasures in the Rosenborg Castle museum. I have no reason to believe that Spengler made these specific pieces but I was betting that he did. 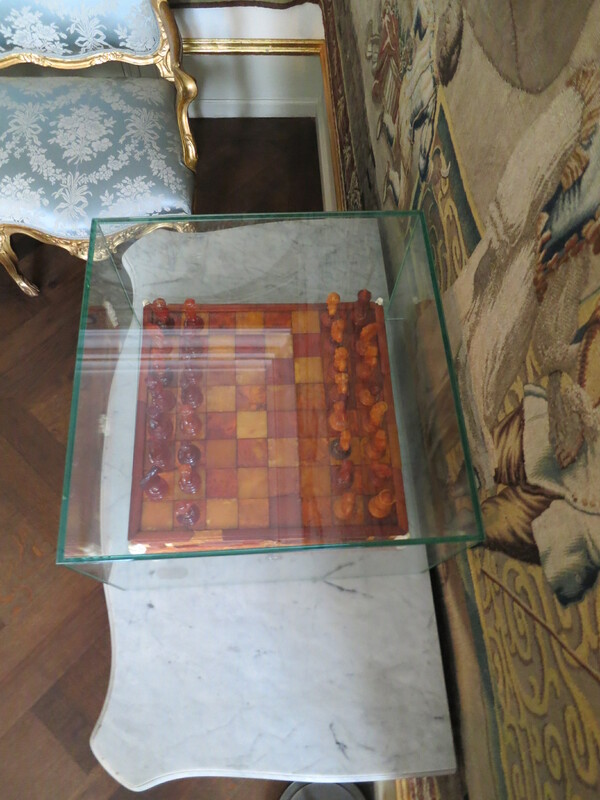 This search led me to an article in the Grove Dictionary of Decorative Arts which said that Spengler made two game boards and their game pieces for the Danish Royal Family. One of these in amber and ivory we saw in the Rosenborg Slot museum (the photos of it are below). The game board we were excited about was wood with a gorgeous burl to it, so it wasn’t one of the two mentioned in the dictionary. But matching the dates put my boardgame search firmly in the mid to late 1700s. Off to Google I went, searching for games popular in the 1750s. 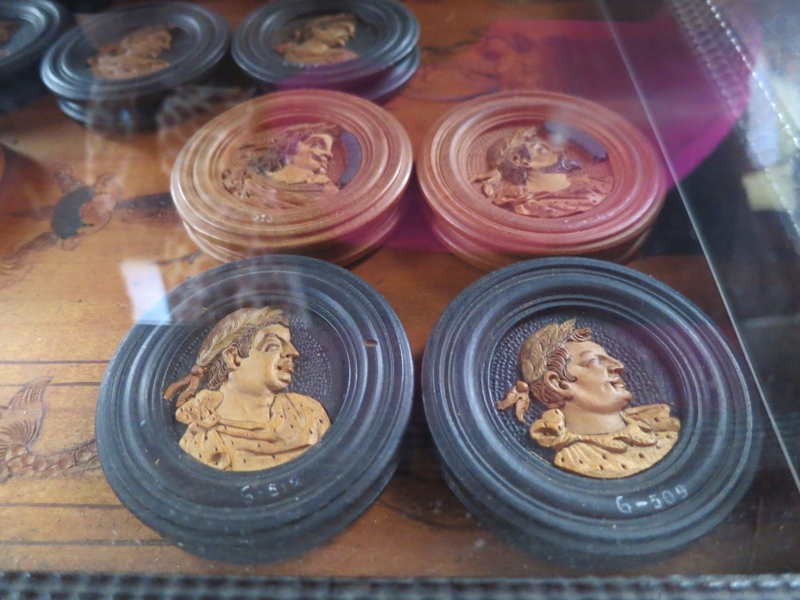 My first hit was an engraving of men playing Toccadille, a backgammon like boardgame. Too much of a coincidence not to follow that cue. The pieces, although larger than modern backgammon pieces, to my eye closely resemble them. There were only a few interesting articles on Toccadille, which I did find odd. In my hunts I often hit a brick wall finding that the wonders of the internet fail me when the information I search for is either very old or esoteric. If the information is in another language, or based in Europe, it’s another even bigger obstacle. The German (translated) wiki directed me to Trictrac, a game called Puff and Throw Zabel which is a medieval dice board game and definitively not what I was looking for. Tric Trac or Trictrac or Tric-Trac showed promise as did Puff, but I wasn’t giving up on Toccadille quite yet. This trictrac game piece had enough similarity to the ones in Copenhagen I was sure I was on the right trac (sic). I was still astounded at the lack of information on boardgames of the mid 1700s. What I did find fascinating was that pastimes such as these were the domain of the wealthy. It wasn’t until much later, and more specifically the dawn of the industrial era that games became commonplace. As the middle class grew so did the need to fill leisure time created by machinery and innovation with amusements once reserved for the idle rich. My quest ended short of a definitive answer. I’m going to guess that TricTrac is the closest as it’s played with 15 pieces each, like backgammon whereas Toccadille appears has 24 pieces. 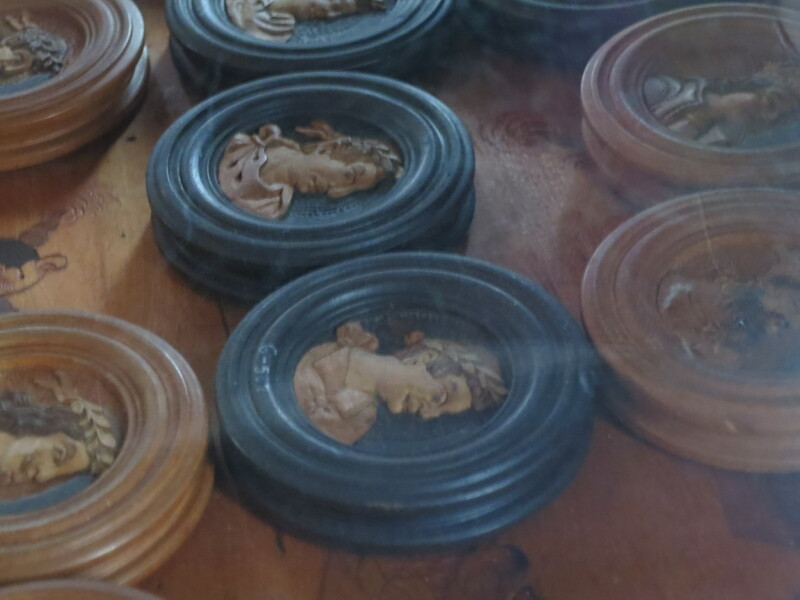 The real mystery is whether the beautiful carvings on the pieces had some purpose in the game. I did not find a game that had that sort of description in my search. So as this hunt ends inconclusive, I’ll be on the lookout for a gameboard or game pieces in the vein of the ones we saw in Copenhagen. I don’t suppose my budget will allow for purchase of them, but a veil has lifted in yet another category which fifteen minutes ago I was ignorant. I have to mention this amber board was auctioned in London recently, which I came across looking for information on Lorenz Spengler. 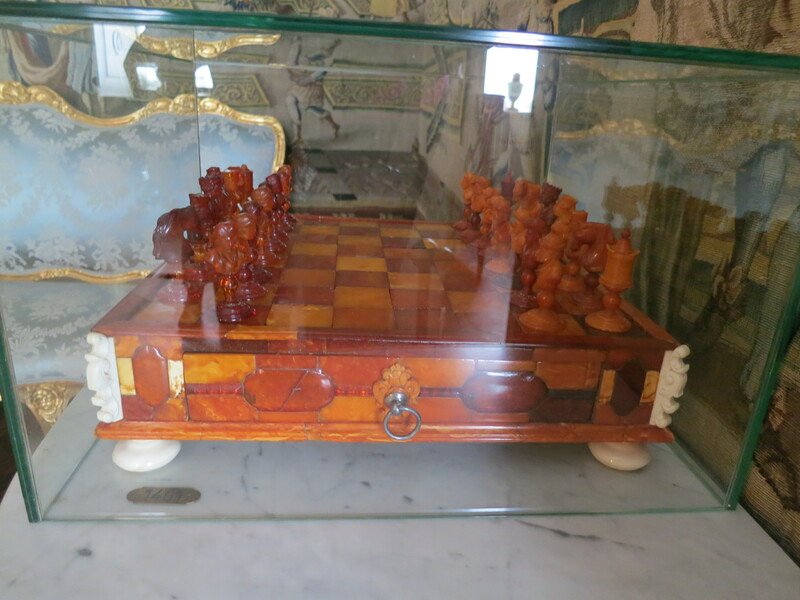 It’s a chess board not a backgammon board, and from 1607, but stunningly beautiful. < Previous My Latest Creation!